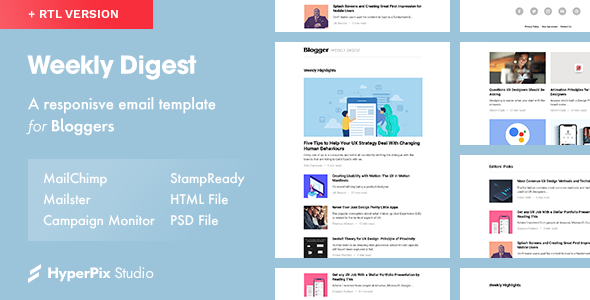 This email template has been build based on bloggers need. All modules of this template have been designed with the careful analysis and need assessment for customers and inefficient section have been avoided. Our team has worked several hours on analyzing, designing, coding and testing this product. Our goal is that by using this template, you send efficient email for your users and customers in the least possible time.